“I had already recognized their stupidity thirty years ago” – Secret police files reveal how the Russian leader’s ancestor betrayed his brethren. Lenin and his great-grandfather’s letter. The letter below was sent to Tsar Nicholas I on January 5, 1845 by Moshe Itzkovich Blank, a Jewish convert from Zhitomir who had taken the name Dmitry Ivanovich Blank after his conversion (converts were not permitted to change their family name). Written in Yiddish, the letter along with a Russian translation, reached the head of the “Third Section”—which functioned as a secret police—at the Tsar’s private office. It remained unknown to researchers until the 1990s when the Russian translation appeared in newspapers in Russia. 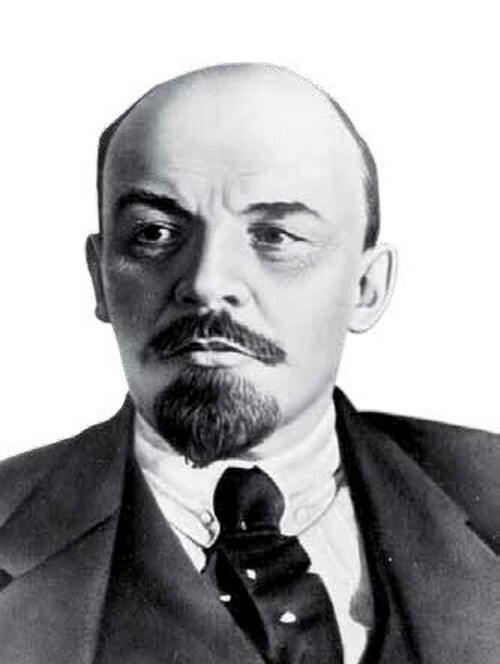 The letter aroused great interest due to the identity of the writer’s great-grandson—Vladimir Ilyich Ulyanov—who was none other than Vladimir Ilyich Lenin, the founder of the Soviet Union. 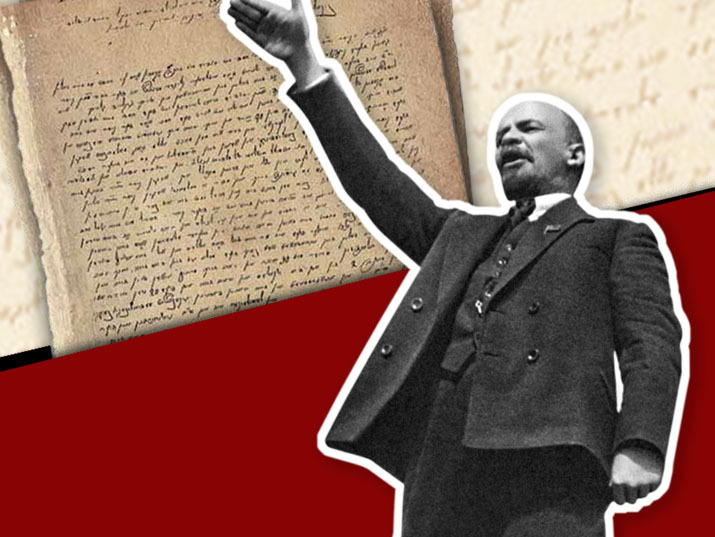 However, the real significance of this letter lies not in the relationship of its author to Lenin, but in the information it reveals about the world of many Russian Jews who had converted to Christianity over the course of the nineteenth century. After the fall of the Iron Curtain and the opening up of the archives in former Soviet Union countries, a wealth of evidence was discovered about the conversion of Jews. The material was located in the files of the Russian Orthodox and Catholic churches and in the files of various police institutions, including the Third Section, where an additional category of converts was uncovered. It seems that among the converts were informants who informed on members of their community because of personal disputes, as well as others who quarreled with their communities or community leaders as a result of informing on another community member. Their appearance in the police files was usually related to the information the informants provided and the follow-up investigation. 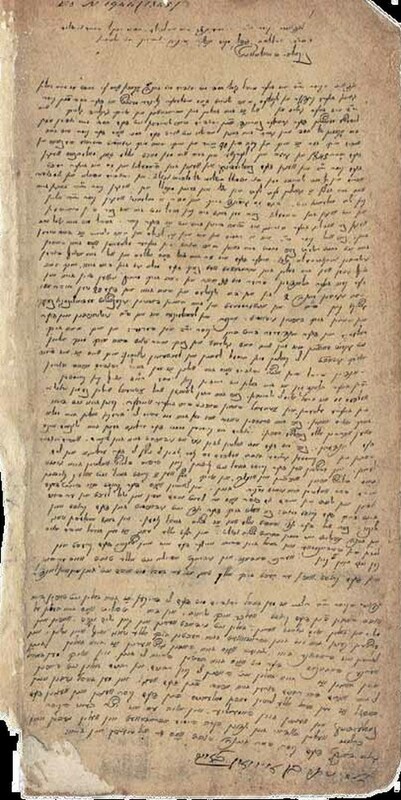 We know of at least two episodes in which Moshe Blank, the author of the letter presented here, quarreled with a fellow townsman and members of the community of Starokostiantyniv (Alt Konstantin) in Volhynia province. In 1809, after a string of earlier disagreements, the Jewish community accused him of setting fire to the town. A trial acquitted Blank but he left the community and moved to Zhitomir, also in Volhynia province, from where he continued his retaliation against members of his former community in a letter of complaint which he sent to Tsar Alexander I. This letter, which predates the one below, never reached the Tsar but remained with the local authorities in Zhitomir. Blank also became embroiled in disputes with the local Jews of Zhitomir and following legal proceedings he lost most of his vast property, including a local brick factory. The episode stretched from 1838 to 1844, and immediately after it Moshe Blank converted, changing his name to Dmitry Ivanovich. Unlike other letters from informants in the Third Section files, Blank’s does not inform on a particular person or on members or leaders of a particular community, but on the Jews of Russia in general, and his missive had consequences for Russian Jewry for years to come. To our Lord the Emperor, His Merciful Excellency, Father of us all, May God grant him Life, Peace, Blessings and Fortune at Every Turn for His Longevity, Nikolai Pavelovich. Our Lord Emperor, His Mercy rewards many favors to the Jews [Note: This is the tsar who conscripted young Jewish boys into twenty years of army service!] with his royal decrees that Jews must educate their children in government schools. It is clear to people of intelligent that in his mercy the Emperor wishes for the Jews to be educated and to dress as decent people. The boors among the Jews do not understand this benevolence. They call these munificent decrees edicts. They are not worthy of the goodness the Emperor bestows upon them. I am now close to ninety and I was baptized in the Christian faith on the first of January 1845, and I attend church and see how every day the prayer is recited for the welfare of his Excellency the Emperor, for the welfare of the heir to the throne and for the welfare of his family. And this is right, because it is written in the Talmud “Oh pray for the welfare of the Kingdom” etc. And the Jews, even on the Day of Atonement, when they sit in the synagogue for the entire day … they do not say even one prayer for the welfare of the kingdom, despite that the prayer for the welfare of the Emperor His Excellency himself, not his family, is found in the prayer book, though the Jews never recite this prayer. It is there for the sake of appearances only … I had already recognized their stupidity thirty years ago, and distanced myself from them. And I placed my two sons in [government] schools, and twenty years ago I sent them to Petersburg to the university and there they completed their medical studies and were baptized. One, a military physician, died in Petersburg from cholera, and the other [Lenin’s grandfather] serves the Emperor in the city of Perm. I could not be baptized as long as my wife was alive, and after her death I was baptized so that I might end my life in the true faith. I know that not a few Jews would like to sway the Jews from their silly ways … but they must remain silent because there are some that hope to gain from their parents’ inheritance and there are some who fear their wives. … For the Jews receive many benefits from Christians both in terms of religion and in life. First, if the Christian will not buy the non-kosher meat [from the Jews] they will have to throw the meat away; and if the Christian will not buy the leavened bread on Passover, they will have to forfeit it. And second, the Christian serves the Jews on the Sabbath and the Day of Atonement by lighting the lamps in the synagogue and he [the Jew] profits from the Christian. The Jew should not despise the Christian, it is only that the Jew waits his entire life for the coming of the Messiah and a few times a day says in his prayers “I believe in the coming of the Messiah,” etc., and asks daily to be liberated from [Russian] citizenship and to be free. My Lord the Emperor, His Excellency, it is my wish that the Jews will be pressed so that they will not be permitted to benefit from Christians as I have written and that their prayers which they pray about the Messiah be erased so that they will no longer be remembered anywhere. First, because they cannot be educated while they look forward to happiness [the coming of the Messiah]. And second, it is outrageous that they have sworn to be true citizens at the same time as they are praying for “liberation.” They must also be ordered not to travel to the rabbis and the rabbis must be forbidden to travel to them, because the rabbis sway them from the right path. And may they be instructed to pray for the welfare of the Emperor, [for the welfare] of the heir to the throne and [for the welfare of] his family. And if this is true in the eyes of the Emperor, certainly the Jews will be educated and will thank him greatly for the good things he wishes to do for them. The letter, click to enlarge. Two days after the head of the Third Section read the letter, he presented Tsar Nicholas I with a report about the letter of the “convert from among the Jews.” In the report, the head of the department noted all of Blank’s accusations against the Jews and he suggested adopting a series of measures in the spirit of Blank’s letter. 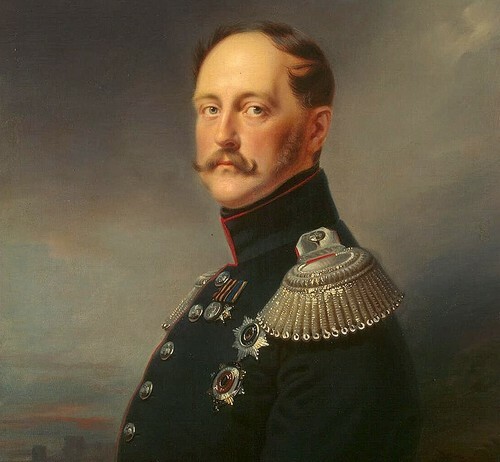 Nicholas I, the Tsar to whom Blank wrote, was also called the “Iron Tsar” for his belief in the absolutist regime. His lust for power was to a great extent turned toward the Jews through the “Jewish Reforms”—hundreds of harsh edicts, the cruelest of which was the Cantonist edict. Based on this document, on December 4, 1846, the committee concluded that conversion of the Jews was not on the agenda but their reluctance to recite the prayer for the welfare of the Tsar was intolerable. The committee noted that information on this failure was received from other sources, and therefore ordered—through the Ministry of the Interior—to monitor the attitude of the Jews to this prayer and punish those who did not recite it. This article originally appeared in Hebrew in issue #16 of Segula – The Jewish History Magazine.